Come to SchillingBridge Winery & Microbrewery for their spring Murder Mystery Dinner! Tickets are $45.95/person plus tax. Ticket price includes light appetizers, entertainment from Chicago actors, dinner and dessert. Drinks and gratuity are separate. Appetizers will start at 6:30pm and the show will begin at 7:00pm. Reservations are required and you must be 21 or older to attend. 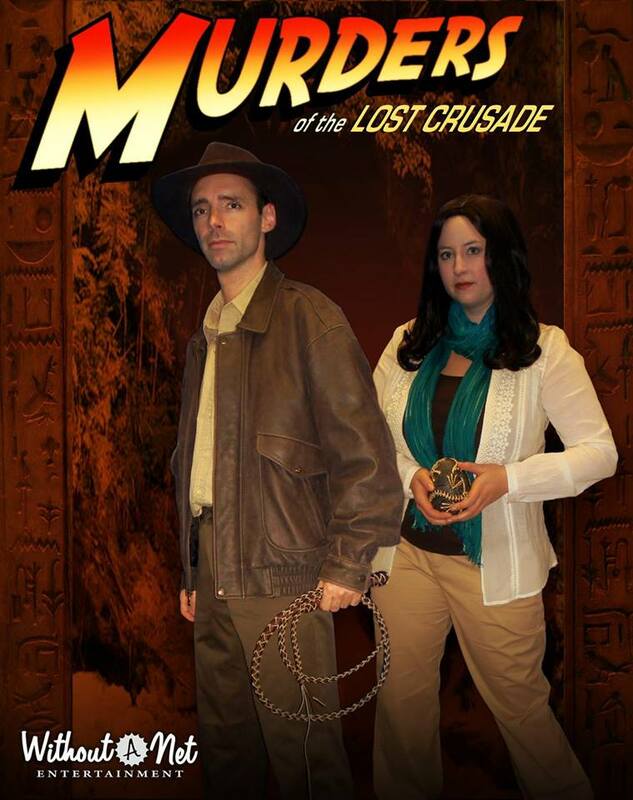 Call us today at 402-852-2400 to purchase your tickets!Indiana Jones is back doing what he does best: finding artifacts & danger. Join a party thrown by an eccentric millionaire celebrating a recovered treasure that was only fabled to exist: the Egg of Monoceros. Dying to see it, Indiana must crash the party to reveal the Egg of Monoceros is just the starting place for the real adventure. When a trail of murders is uncovered, it’s up to our hero to fight the bad guys, find the killer, and make the biggest archeology discovery of his career. Filled with famous characters from the original trilogy and some outrageous new ones, join Indy as he saves the day and the girl.